Tuga Driving School based in central London, provide affordable automatic or manual driving lessons in most areas of London including Chelsea, Knightsbridge, Kensington, Sloane Square and most sounding areas. 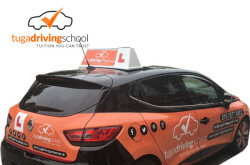 ORDIT registered driving instructor trainers and fully DVSA qualified, Approved Driving Instructors (ADI’s) and provide a professional and courteous service. Lambeth, London SE11 6HU, United Kingdon. (08:30am to 19:30pm Mon-Fri and on Sat 09:00 to 14:00, closed on Sunday). Email : info[at]tugadrivingschool.co.uk or fill website form.